Jeremy Black is well qualified to write a book on Bond. Encouraged me to want to read Fleming's biography. Fascinating, as is Jeremy's background information of the period covered. I knew Jeremy Black principally as a military historian, but was pleasantly surprised to find he'd also written a study of the James Bond series. Black examines both the novels (the original works by Ian Fleming, as well as the series' continuation by Kingsley Amis, John Gardner and Raymond Bensen) and the films (focusing on the EON series, but also offering briefer mentions of 1967's Casino Royale and 1983's Never Say Never Again) as these stood by the time of writing (early 1999).As the title indicates, the politics of the series' evolution is the main theme of that examination. Black certainly does the race/class/gender stuff fashionable in academic literary criticism, but his writing in this area is better-grounded than most such studies, and virtually free of obfuscating jargon – in part, I suspect, because being a historian rather than a professional critic, he is less prone to the failings of literary theorists. He also has a strong sense of the appeal of the works, never forgetting that the works he examines are more than objects in which to root around for ever subtler instances of yesteryear's prejudices. His background as a historian also makes him particularly well-positioned to deal with the evolving geopolitics of Britain's position during the period under study.Still, there are ways in which it could have been stronger. 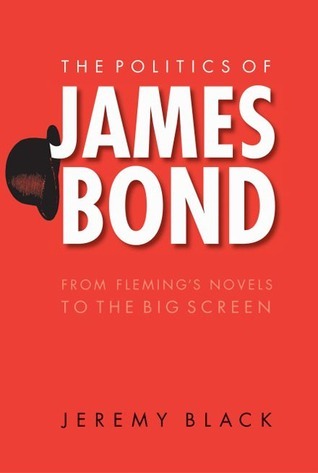 There are a number of points where I felt more treatment of a subject was called for, from Fleming's own personal background (certainly a significant influence here) to the scripting of The Spy Who Loved Me (during which the question of approaching the period's politics was a major issue). Additionally, it is the case that any book about a still-continuing series like the Bond novels and films dates quickly. The fact that the book's analysis ends prior to the release of the last two Pierce Brosnan-starring Bond films, and the "reboot" of the series when Daniel Craig replaced him in the role (as well as the political changes of the past decade), means that it leaves a significant amount of territory uncovered. The result is a book that falls short of being definitive, but which is still well worth the while of anyone interested in the evolution of the franchise in its sixty years of existence.